Do you want a significant gain in mass, coupled with a significant force? Do not search anymore ! Take a testosterone cure Cypionate. Available in injectable form, testosterone Cypionate is a testosterone with delayed effect. Indeed, she will act in the body for two to three weeks. It will allow you to develop and maintain your muscle mass. Performing a testosterone cure Cypionate has many benefits: stimulate libido, melt fat masses, increase bone density, gain more strength. 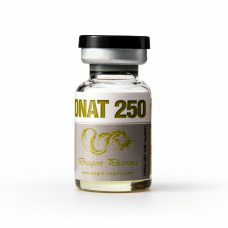 In addition, by stimulating the action of satellite cells, testosterone Cypionate will promote the repair of damaged muscles. Finally, it will encourage the production of red blood cells, promoting blood oxygenation. Thus, she will develop your endurance to the effort. It is however essential to accompany the cure of protections and to carry out a recovery cure (PCT) after the cycle. Find all the stimulus supplements in our section of Anti-Estrogen. 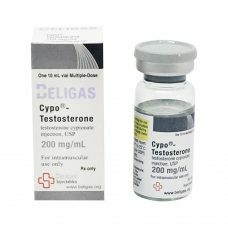 To help you achieve your goals, top-steroids-online.com offers you a wide selection of Testosterone Cypionate, from the most prestigious laboratories (Myogen, Magnus, Swiss Remedies, Hilma, Eminence ou A-Tech Labs). 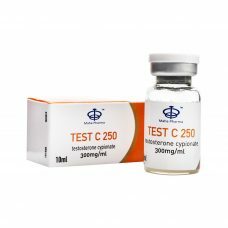 The Magnus Test C (testosterone cypionate) is a product for a mass-taking cycle. With taking this product you will get: An impressive muscle mass increase and an increase in muscle strength. Testosterone cypionate is a form of testosterone depot. Its duration of activity in the body being 2 - 3 weeks, it usually only takes one injection of 300 mg per week to maintain a high level of testosterone.